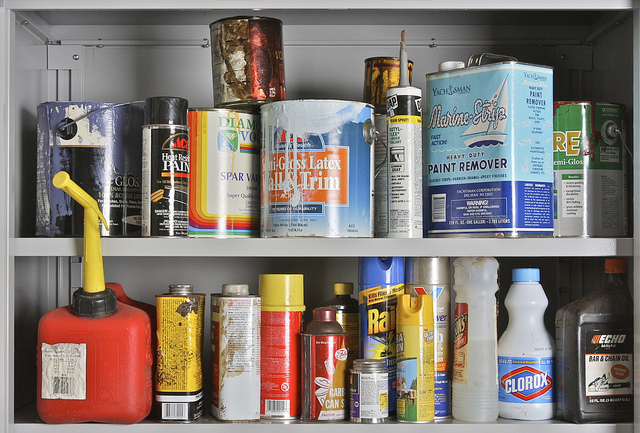 Where can I dispose of hazardous waste from my home? The Household Hazardous Waste (HHW) program was established to properly dispose of household generated hazardous waste. Many household chemicals and items such as batteries, fluorescent lightbulbs and paint should never be disposed of in the garbage. These items can be harmful to you, wildlife or the environment if they are mishandled. The HHW program accepts these items free of charge for Otter Tail County Residents at our HHW Facility in Fergus Falls or at any of our HHW Mobile Collections. We recycle many of the items, or offer good items back to the public free of charge at our Product Exchange area at the HHW Facility. Not sure how to dispose of something? Need a reminder about the next HHW mobile collection? Just ask the Waste Wizard! The HHW facility does not accept business waste except for fluorescent bulbs from businesses which are accepted for a fee. Call ahead for details and pricing. Prescription medication – Take it to the Box! Sharps – place in a puncture resistant container and write ‘sharps’ with permanent marker before disposing in the garbage. See more info for medical waste. Vehicle batteries – take these to a transfer station. Electronics or appliances – take these to a transfer station. To sign up for reminders for any of our HHW Mobile Collections use the Waste Wizard!